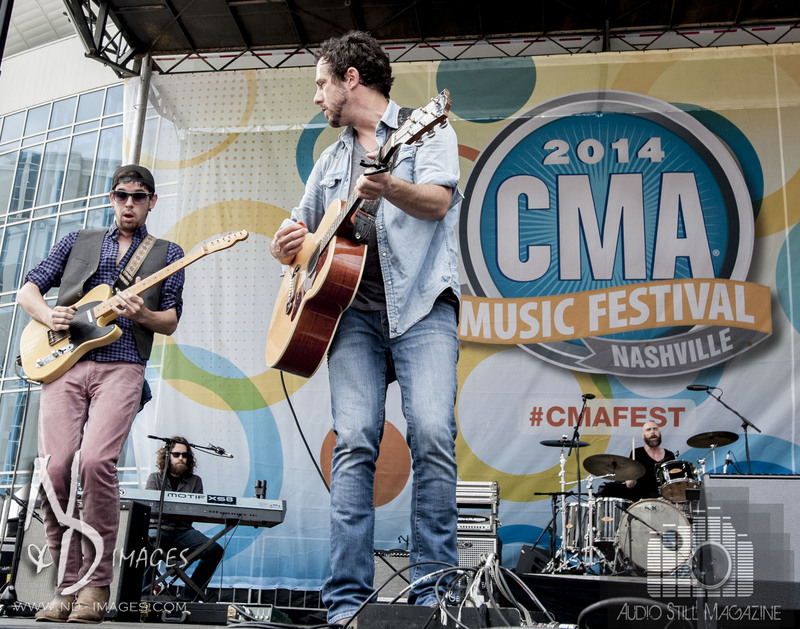 CMA Fest 2014 Part II!! Audio Still Magazine hits the ground running on Friday, as the sun comes up over the City of Nashville, for another music-packed day. While New York may be the City that “never sleeps”, Nashville can certainly be known as the City that “never stops listening”. 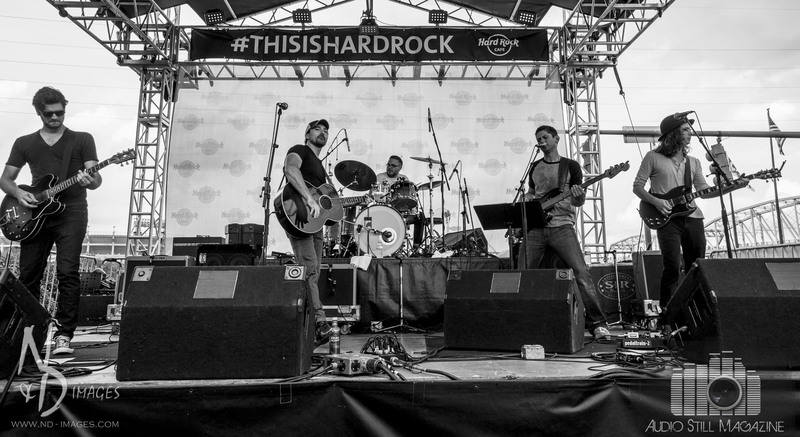 For talented, country and southern rock music that is!! Our first stop of the day brought us to the Chevy Riverfront Stage, the music epicenter on the banks of the Cumberland River. 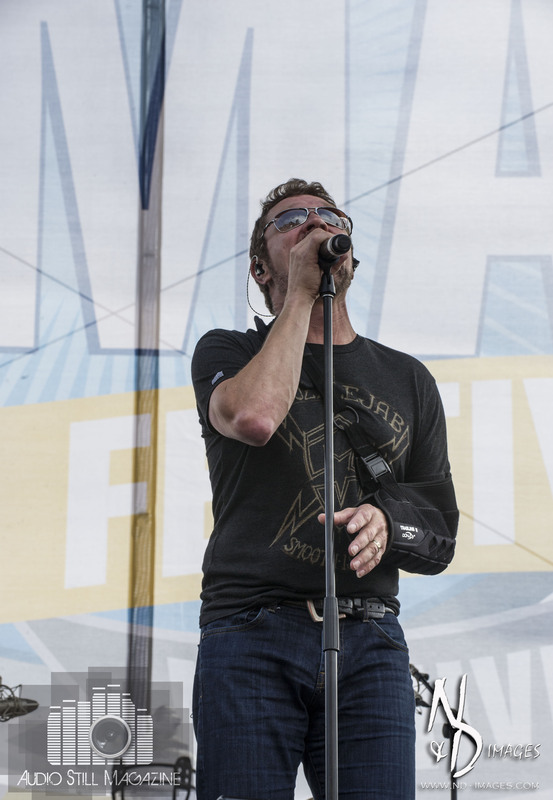 Joining fellow country artists like Chase Rice, Collin Raye, Kristian Bush and more, Craig Morgan rocked the riverbanks with his crowd favorites Redneck Yacht Club, International Harvester and Bonfire. Having seen Craig live earlier this year, it was clear his performance would be a fan favorite – and boy did he deliver! Watching the crowds enjoy song after song reminded us we were on a mission to seek out and report all that was Friday of CMA Fest 2014. With that in mind, we moved over to the Bridgestone Arena area where Keith Anderson delighted crowds on the Bud Light Stage. Belting out songs such as Pickin Wildflowers, Everytime I Hear Your Name, and I Still Miss You fired up faithful, early morning audiences. Keith’s action-packed set list sent the crowds off for a day of listening fun! Keeping on our schedule, we found ourselves in the downtown Nashville area and smack dab in front of the Chevy Roadhouse Stage. Taking the stage while we watched were the Music City Doughboys. Known for their eclectic blend of bluegrass, jazz, swing and the blues, the MC Doughboys were extremely entertaining! It’s easy to see whey their unique musical style drew in those passing by to find a spot and listen for a bit. country/southern rock entertainers around, Audio Still Magazine caught a new addition to CMA Fest, the ABC Tent Q&A with Jonathan Jackson of ABC’s hit TV show Nashville. Known in his early acting days as Lucky Spencer on the longtime running ABC daytime soap opera General Hospital, and with 5 (yep, count ’em 5) Emmy’s already under his belt, Jonathan sat back and enjoyed the Q&A banter regarding his extremely popular Nashville character, Avery Barkley. What a great addition to an already action-packed Festival! The chance to catch singer/songwriter Wil Hoge had us racing back to the Bud Light Stage! Having grown up on the outskirts of Nashville, it is easy to see this artist holds untapped, local talent which easily shines through his set list, captivating audiences as they passed by. 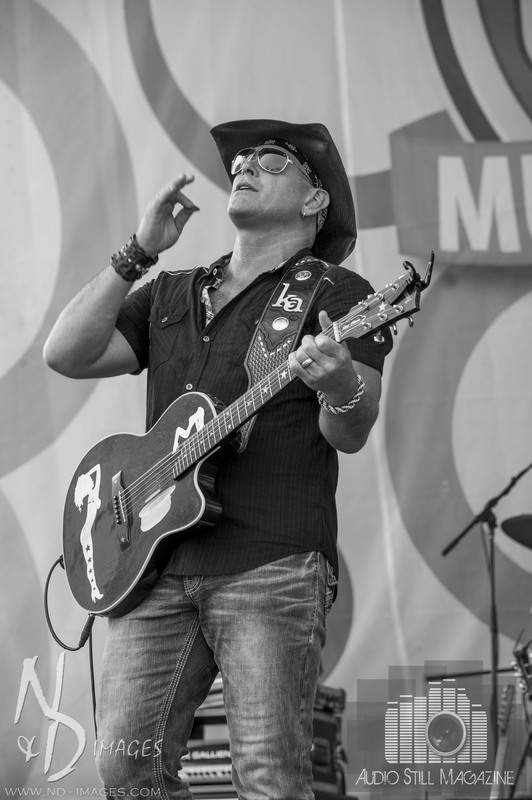 If you haven’t heard anything from Wil Hoge – What the heck are you waiting for?!? This first-class musician is true to his roots and one performer who can grace any stage – Big or Small! No stranger to country music fans, or Audio Still Magazine for that matter, Kristian Bush, one-half of the fabulous duo Sugarland, invited us to stop by and check out his set on the Chevy Riverfront Stage. 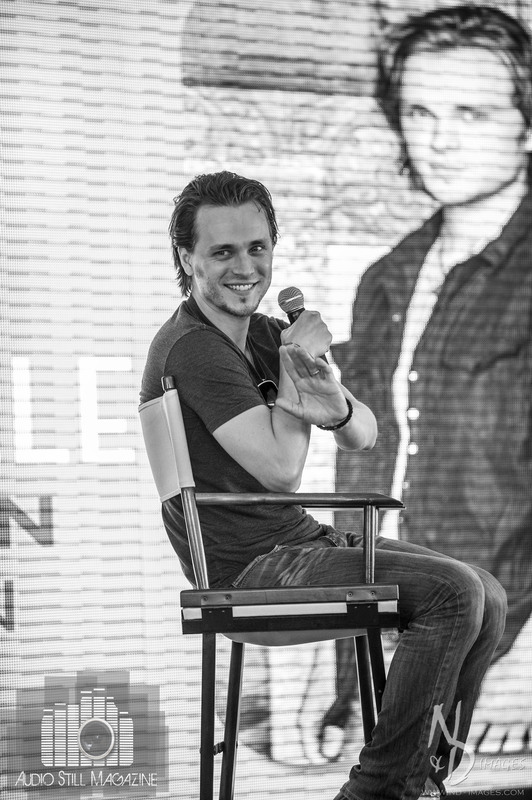 Having worked with Kristian days before the Festival in Connecticut, we sat back and smiled, knowing the treat the crowd was in for. Bush belted out solo hits Love or Money and his latest single Trailer Hitch, getting fans off their seats; while throwing in some Sugarland favorites like Baby Girl. It’s clear, whether the front man or sharing the spotlight, Kristian Bush is meant for ANY stage! Leaving the Riverfront stage, Audio Still Magazine found ourselves front and center at the Hard Rock Cafe listening to singer/songwriter Erik Dylan’s performance. Having met Erik over two years ago while touring with our good friend JT Hodges, it was a pleasure to see him mesmerize the crowd with his song Fast – the official NASCAR Sprint Cup & Nationwide Series Countdown. Erik’s heart and soul can be found in over 400 of his penned songs and it’s a sure bet this is just the beginning of his amazing country music career. As we made our way across the river to LP Field, we were lucky to run in to our good friend Jeff Jenkins of the Brian Davis Band. Was a well-needed chance to take a breath, slow down and catch up with an old friend before heading out to see the night’s fun-filled list of entertainers. 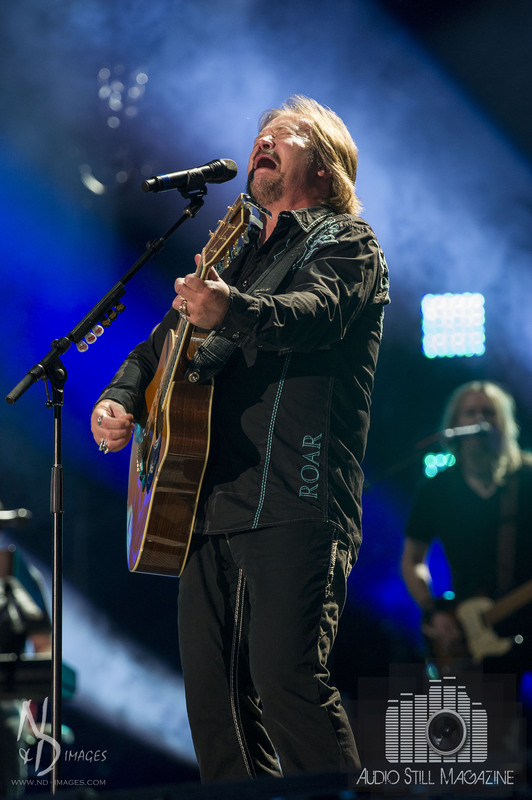 Kicking off Friday night’s amazing lineup was an artist who needs NO introduction, Travis Tritt! With over forty charted hits, two Grammy awards and five #1 singles…Travis got the place rocking with fan favorites like T.R.O.U.B.L.E. and It’s a Great Day to Be Alive! 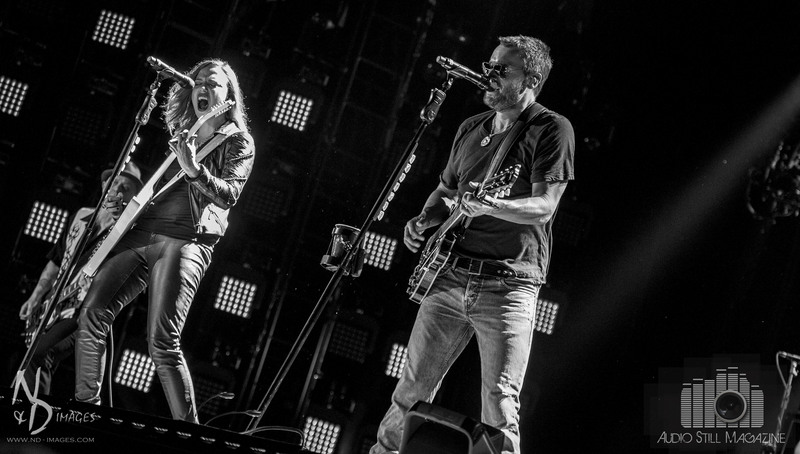 Following this energetic set was an Audio Still Magazine’s personal favorite, Mr. Eric Church! Fortunate enough to have worked with Eric on numerous occasions, it was no wonder the crowd was absolutely taken over by his stage presence. Opening with a perfect choice The Outsiders, Church laid the groundwork for a one-of-a-kind, action-packed performance. This is one artist who takes his fans to the edge and back. And, when you think you’ve seen and heard everything Church offers – guess again – he comes back full force with Creepin and Cold One causing a fan frenzy! Highlight of the night – hands down – was Eric escorting Lzzy Hale, lead singer of Pennsylvania’s own rock band Halestorm, on stage to rock out Church’s latest song That’s Damn Rock and Roll. Energy rolled off the stage with the same rebellious spirit known of Church. 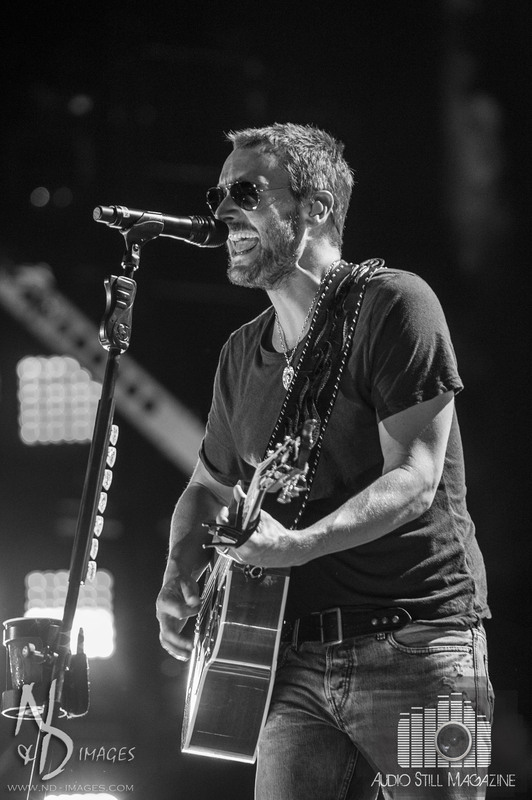 Whether in your home town or on a festival stage held by many, Eric Church is a creative and musically charged force to be reckoned with! the ride. Showing exactly why they love what they do, Kimberly, Reid and Neil had fans on their feet with favorites like Done, Chainsaw and Better Dig Two. Putting one foot in front of the other in true Pioneer fashion, The Band Perry is marching forward and marking noise!! his fans’ minds, he took the audience by storm, convincing everyone to Take a Little Ride revisiting his fan favorite hits like Dirt Road Anthem and She’s Country. And, when it seemed the crowd could not take a minute more, Aldean highlighted his performance, calling back Travis Tritt, and belting out Tritt’s Homesick from his 1991 release It’s All About to Change. 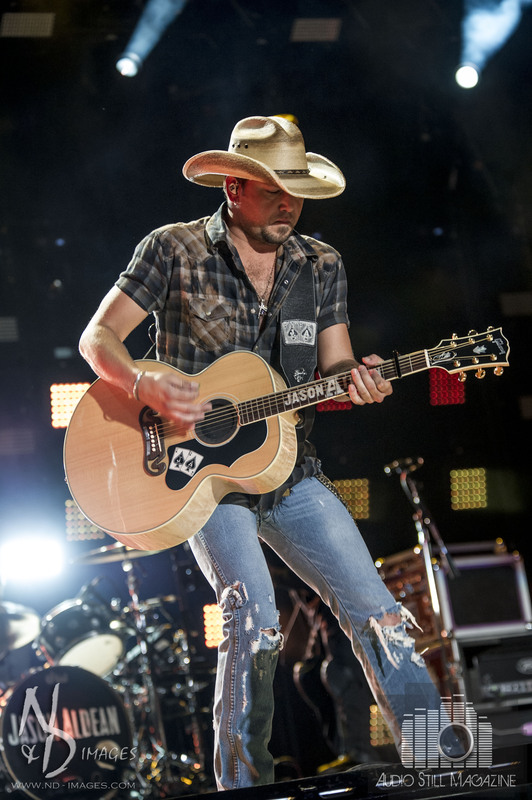 Hands down, Jason Aldean continues to wow crowds and build fans at every turn!! hit the stage with Fastest Girl In Town. Hypnotizing the crowd and keeping each and every one of us on our feet, we rocked alongside Miranda, singing along to Automatic. This country/southern rock Diva had more in store for her fans, as the first notes of Somethin’ Bad rang out…shocking the audience into a frenzy when fellow country Diva, Carrie Underwood, joined Miranda on stage to close out the set!! 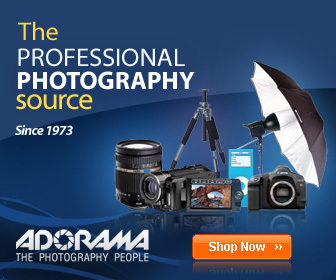 Simply A-Mazing…no other words necessary! Shelton paired up with fellow tour-mate and The Voice – Season 2 contestant, Gwen Sebastian, to slow down the crowd with My Eyes; bringing a perfect evening to an even more perfect end. 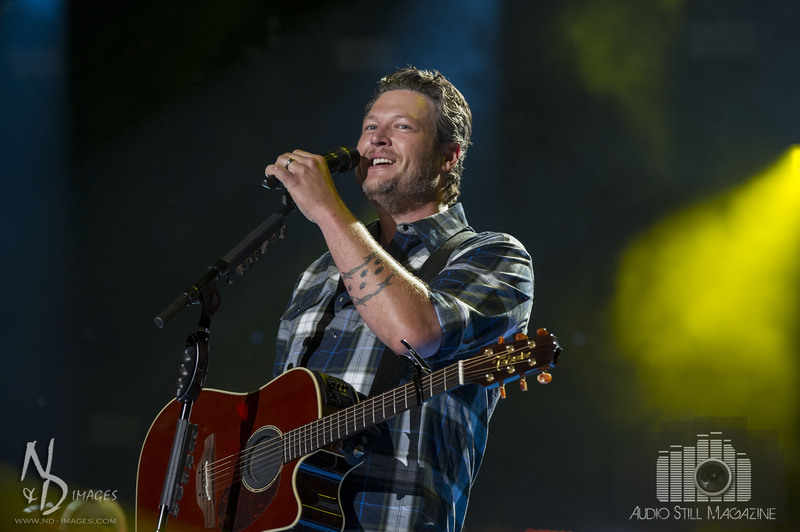 While Blake Shelton’s songs may not rattle the windows, he sure knows his way on stage – NO better choice to close out the night’s events and bring to a close Audio Still Magazine’s tour of CMA Fest 2014. Having given you a whirlwind review of our brief, but fun-filled, stop on the CMA Fest 2014 road, here’s where we get to brag!! This Festival, created in 1972 as County Music Association’s Fan Fair event hosting 5000 attendees, has grown into a 4-day country music extravaganza NOT TO BE MISSED! Over 400 Artists attend each year, providing over 150 hours of live music to record crowds of over 300,000 people!! 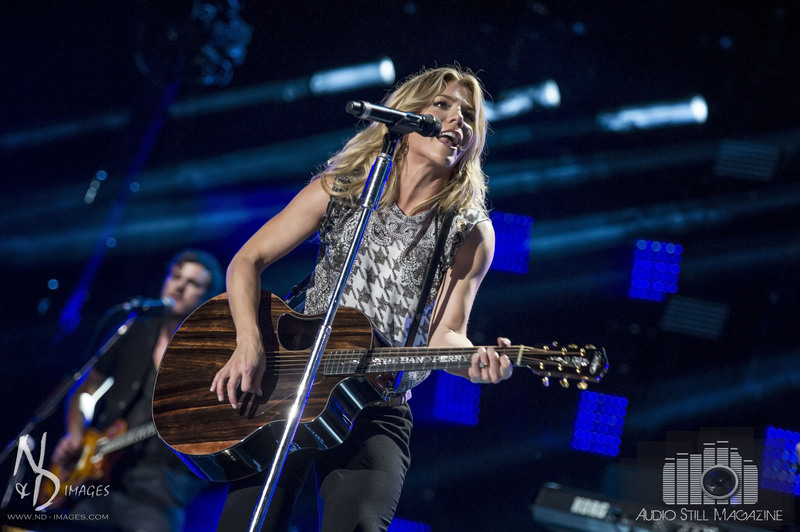 Get your 2015 CMA Fest tickets today – and join Audio Still Magazine next year – there’s no doubt in our minds we will be front and center for all the action!